Sharpshot Bow is a Weapons in Horizon Zero Dawn. 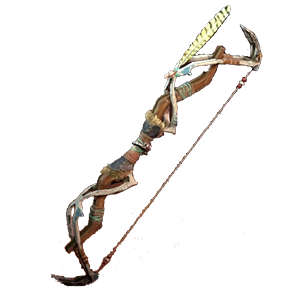 This bow has the slowest reload and aim rate, but hits for massive damage and is the effective "Sniper Bow" for this game. Pick this Bow if you prefer long-ranged combat.